Ellie was adopted at a young age by her great-grandmother, Marg Claus (mom). Although the family lives on mom’s small pension, mom wants Ellie to have a fulfilling childhood. As part of the First Nation people; Mohawks of the Bay of Quinte, mom also knows the importance of giving Ellie a good education and preparing her to better connect with other kids at school. Mom turned to her local YMCA of Central East Ontario to help Ellie build a healthy and positive social life. Thanks to the funds raised by the YMCA Strong Kids Campaign, YMCA of Central East Ontario was able to offer Ellie a subsidized membership for her to join the children’s fitness and recreation programs. Ellie is now seven years old and looks forward to playing with other kids at her Y. She is making friends, developing her social skills and staying healthy, learning to swim, play soccer and other team sports in a nurturing environment. Ellie is one of the more than 736 children in Belleville and nearly 600 in Quinte West who learned life skills and found a caring community at the YMCA. 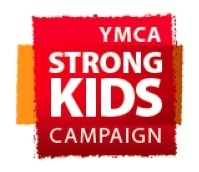 Thanks to the YMCA Strong Kids Campaign, many families experiencing temporary or longer-term financial challenges can still access YMCA programs to realize their children’s full potential.